A 35-year-old Canadian woman has died and two other tourists were injured when a surfacing grey whale crashed onto their boat. 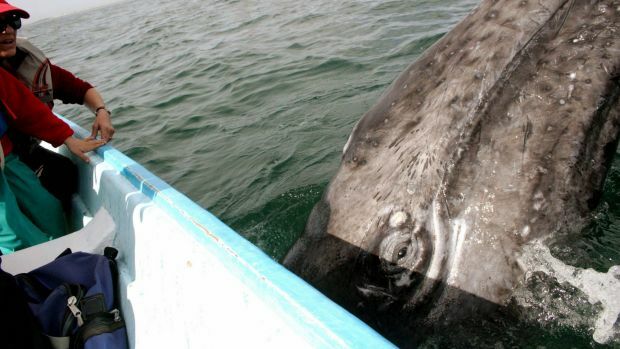 The Attorney General’s Office for Environmental Protection in Mexico said on Thursday two other tourists suffered “considerable” injuries when the whale breached and hit the side of the boat. The office said the boat had been carrying nine tourists on a snorkel tour. The Baja California Sur state prosecutor’s office said the collision near the beach resort of Cabo San Lucas tossed the victim into the water. A crew member and a passenger lifted her back onto the vessel and Mexican navy personnel moved the woman to shore. She was taken to a clinic, where she died during treatment. Federal Member for Hinkler Paul Neville has slammed the State Government’s decision to shelve the Hervey Bay marina redevelopment, saying Labor’s incompetence had delivered a crippling blow to the entire region. “I cannot believe the breathtaking cynicism of the Premier and then-State Member and Minister Andrew McNamara taking the political credit for the project at the time, and then have the Premier blithely walk away from it,” he said. Mr Neville said the Hervey Bay area had a relatively constrained industry profile, with few medium and large industries to rely on. “Surely the State Government realises that the Wide Bay’s unemployment levels are amongst the worst in Australia. “In October 2007 the region’s unemployment rate was 3.4 per cent – now it is 9.3 per cent. “The entire region would have benefited enormously from the marina redevelopment. “This is a lifestyle, seachange and tourist community and the project would have raised tourism to a whole new level of activity, with a flow on effect to other related businesses. “What the State Government has offered in place of the redevelopment is piffling by comparison. “Quite frankly, if the Bligh Government is only prepared to carry out relatively small upgrades to recreational boating facilities, it should look immediately to improving facilities at Burrum Heads. “The existing small boat facilities are little short of dangerous. The relevant State Government department knows about this because it had officers sitting on a committee chaired by Chris Foley which was investigating the issue.